Goldcorp and TechnoServe partnered to build the capacity of more than 300 entrepreneurs in rural Mexican communities. 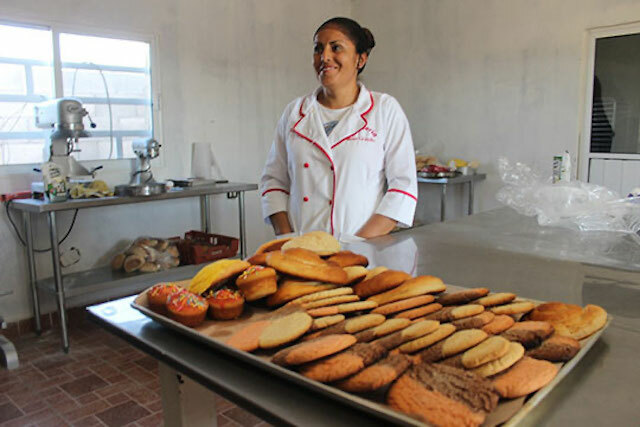 Sandra Lucía Gutiérrez Carrera, co-owner of Panadería Palmas, transformed her business after participating in TechnoServe and Goldcorp's local economic development program. 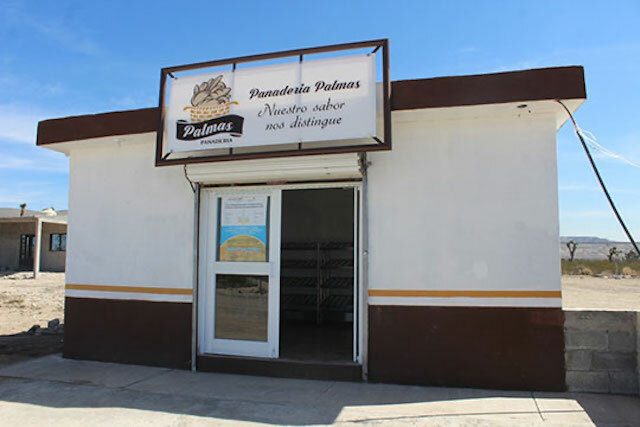 Just three years ago, Panadería Palmas was a very small business in a very small town. 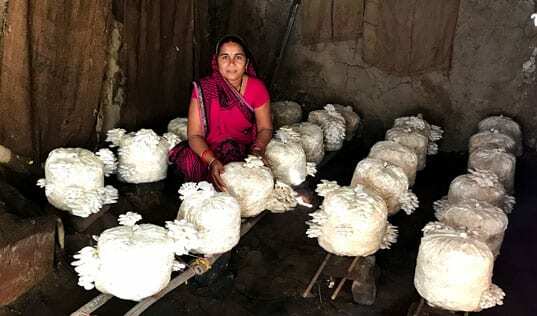 Back then, Sandra Lucía Gutiérrez Carrera and Epifanía Morquecho Herrera were baking their cakes and breads in a tiny kitchen, located in the rural community of Palmas Grandes, Mexico, and their business averaged little more than $300 in monthly sales. But they wanted to build something bigger. Sandra and Epifanía were not the only people in their community who dreamed of new opportunities. Palmas Grandes and its neighboring communities are located in a remote, sun-baked, and dusty area of Zacatecas state, where livelihoods have traditionally revolved around livestock, and economic possibilities have been limited. In 2010, the opening of the Peñasquito mine just a few miles from Palmas Grandes generated new activity in the region, but the mine could only employ so many local workers, leaving some community members feeling left out. Goldcorp, the mine’s operator, wanted to find additional ways to contribute to the region’s economic development, and it knew that vibrant, local small businesses are vital for generating sustained growth. 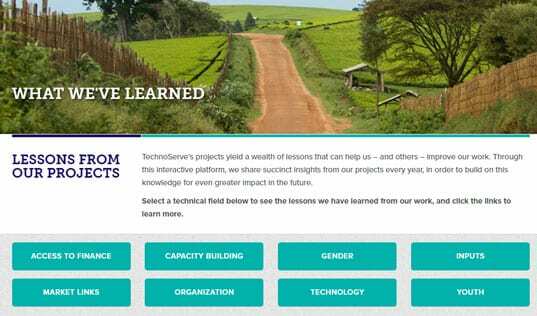 In 2016, the company partnered with TechnoServe to launch a program to build the capacity of local entrepreneurs, equipping them with the skills to improve their operations, grow their businesses, and generate employment in the region. "At the beginning, I didn’t have any idea how to run a business or how to grow. But now, I have more skills to effectively manage my bakery and more infrastructure and equipment to be successful." Over the past two years, the program has worked with more than 300 new and existing small businesses in the towns surrounding Peñasquito. Entrepreneurs attend workshops in which they learn how to identify business opportunities, develop plans to seize those opportunities, and then implement the plans. The entrepreneurs then receive individualized coaching from TechnoServe staff, and some also receive seed funding from Goldcorp to implement their growth strategies. Panadería Palmas has grown enormously with this support. After receiving training and coaching, Sandra and Epifanía designed an expansion strategy for the business. The entrepreneurs have built their capacity to track their sales, expenses, and profits, and have developed strategies to reduce their costs of production. With funding from Goldcorp and their own savings, they have expanded their kitchen and storage facilities, and they have also implemented quality-control and food-safety measures, allowing them to increase the scale of their production and reach new, formal markets. Panadería Palmas, Sandra and Epifanía's bakery, where sales have increased from $300 a month to $2,500. The bakery now has a delivery route that takes the baked goods to retails shops and the cafeterias of many of the businesses working in the mine’s value chain, both in Palmas Grandes and in neighboring communities. Its average monthly sales, measured over the nine months after completing the program, have grown to nearly $2,500, and this expansion has generated employment: Sandra and Epifanía have already hired an additional full-time baker, and they are looking to add additional employees. “The project has helped me a lot. At the beginning, I didn’t have any idea how to run a business or how to grow. But now, I have more skills to effectively manage my bakery and more infrastructure and equipment to be successful. Now, I have clients in different communities, including restaurants, companies, and families,” said Sandra. 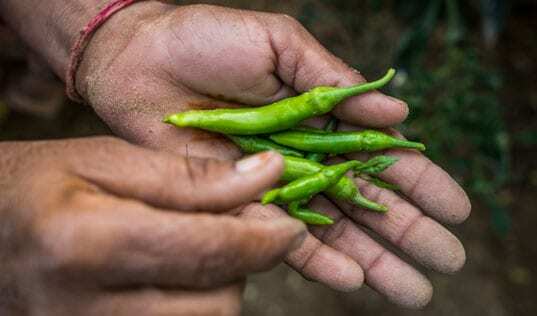 But the work is not done: this year, the program has added components to help farmers and agricultural entrepreneurs and to assist local small businesses in accessing more profitable markets, including the mine’s supply chain. Through hard work and smart decisions, Sandra and Epifanía have transformed their business. Collectively, the entrepreneurs in Palmas Grandes and its neighboring communities have the potential to transform their region.